It was a winning night for Dalhousie at the 15th annual Discovery Awards on Thursday evening (Nov. 23). The Discovery Awards, which are hosted by Halifax’s Discovery Centre, are an annual event that recognizes talented individuals and outstanding companies that have helped to make Nova Scotia a leader in science, technology and innovation. This year, the awards were sponsored by Dalhousie. One of this year's Science Hall of Fame inductees was a Dalhousie faculty member (the other being an alum) while the university's researchers won awards in two of the four major categories. Peter Allen is a professor in Dalhousie’s Faculty of Engineering, and was recognized for his contributions to the solar energy research and development community. 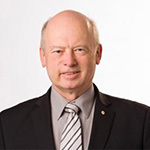 Dr. Allen is CEO and founder of Thermo Dynamics Ltd, a Dartmouth company that carries out research, development and manufacture of solar thermal equipment for domestic and export markets. 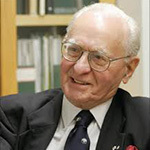 The other Hall of Fame inductee, William Howard Feindel (1918-2014), was a graduate of Dal's Faculty of Science. He was recognized posthumously for his outstanding contributions to neurosurgical research and development of medical diagnostic equipment. As a graduate student, Dr. Koleilat developed the world’s first functional colloidal quantum dot tandem solar cell employing a single quantum tuned material. She also conceived a material processing that enabled prolonged stability and improved electrical properties in photovoltaic junctions based on colloidal quantum dots. Before joining Dalhousie University in 2016, Dr. Koleilat investigated the properties of single walled carbon nanotubes and their potential in photovoltaics. Her work has frequently been highlighted in major media outlets for technology reporting. 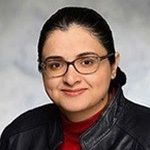 Notably, her first research publication in the American Chemical Society’s journal “ACS Nano” was one of the ten highest cited articles in the journal for four consecutive years. Densitas Inc. is an early stage medical software company focused on machine-learning solutions in the breast imaging enterprise, and sees digital mammograms as “imaging fingerprints” that enable tailored patient care. 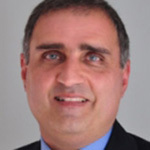 Densitas was founded in 2011 by Mohamed (Mo) Abdolell, a biostatistician with 25 years’ experience in modeling data for clinical decision-making, and currently also an Associate Professor in the Department of Diagnostic Radiology at Dalhousie University. Densitas’ flagship technology is DM-Density, an automated breast density assessment tool that serves as the foundational product for a suite of technologies that complete a comprehensive imaging analytics platform targeting mammography quality and delivery of personalized care. Densitas’ goal is to empower radiologists and hospital administrators to confidently navigate the rapid shift from a volume to a value-based model of care delivery. In an environment of strict fiscal constraints, Densitas’ ability to support appropriate patient management based on individualized risk has the potential to radically change how patient care in breast cancer screening practice is delivered in Nova Scotia and globally. Alongside the winners, five individuals and companies with Dal connections were finalists for Discovery Awards. Kevin Hewitt (Science Champion finalist) is an associate professor in the Department of Physics & Atmospheric Science, and chair of Senate at Dalhousie University. In the classroom, Dr. Hewitt strives to link Physics to the everyday lives of the learner. In his Molecular imaging lab, he has developed novel nanoparticle probes for cancer imaging and treatment, new optical imaging approaches and a prototype medical diagnostic tool for liver steatosis. 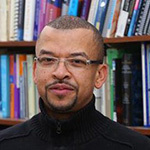 Dr. Hewitt combined an interest in science and community engagement by co-founding the Imhotep’s Legacy Academy, a STEM outreach program for African Canadian students from junior high to university. He grew this program from a small room in the Physics building to a provincial program with an annual budget approaching $500,000. Over the course of his career, Dr. Hewitt has attracted more than $3M in research funding, published over 30 papers, delivered over 60 invited presentations in Canada, US and Brazil; universities in China, Ethiopia, the US and Canada; and supervised numerous students. He is also the co-inventor of an instrument to diagnose liver steatosis. Dr. Patrick McGrath (Professional of Distinction finalist) is the Canada Research Chair in Pediatric Pain at Dalhousie University and the IWK Health Centre, and is known internationally for his extensive research in pain management and treatment in children and adolescents. McGrath uses brain waves to measure pain in children with severe cognitive impairment, then seeks efficient and effective delivery techniques to treat pain. His distance and web based interventions offer a convenient method of support to families through phone and Internet. 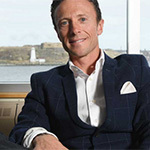 In addition to being a professor of science, pediatrics, psychiatry, and community health and epidemiology at Dalhousie, McGrath's accomplishments include founding and leading the clinical psychology PhD program at Dal, and launching the Strongest Family Institute alongside Dr. Patricia Lingley-Pottie. Fred Whoriskey (Professional of Distinction finalist) is executive director of the Ocean Tracking Network (OTN). His research focuses on fish biology and ecology, and the impacts of exotic species on native ecosystems. 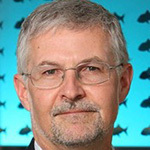 In his role, Dr. Whoriskey has guided the development of a worldwide biological observation network on the movements and survival of aquatic animals. This network is built on Canadian electronic telemetry equipment, most of which is manufactured in Halifax. He has also overseen the development in Halifax of Canada’s largest operational fleet of ocean gliders, which are autonomous vehicles used in oceanographic monitoring, weather forecasting and the tracking of marine species. Dr. Whoriskey’s research addresses fundamental and applied science issues ranging from what happens when you put an electronic tag on the Atlantic Ocean’s largest electric fish, the torpedo ray, to the potential impacts, if any, the Maritime Link transmission cables could have on the migrations of Nova Scotia’s highly valued snow crab. He has also played a key role in bringing over $50 million of federal research funding to Halifax, and in precipitating investments by international partners of more than $128M in ocean research using Canadian telemetry systems. 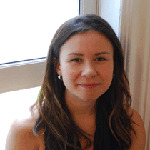 Amy Bombay (Emerging Professional finalist) is an Ojibway (Rainy River First Nation) researcher, an assistant pofessor in the School of Nursing and Department of Psychiatry, and a Healthy Populations Institute Research Scholar. She completed her MA (2008) and PhD (2012) at Carleton University in Psychology and Neuroscience, and a two-year CIHR Fellowship at the University of Ottawa Institute of Mental Health Research. Dr. Bombay’s research focuses on exploring determinants of mental health outcomes of Canadian Aboriginal peoples. Specifically, her research has explored the different pathways by which Indian Residential School trauma is transmitted across generations. Her work has garnered extensive media interest and has influenced policy and practice related to Aboriginal health. Among her many awards and honours are a Postdoctoral Fellowship from the Canadian Institutes of Health Research (CIHR), the Joseph-Armand Bombardier CGS Doctoral Scholarship (SSHRC) and a Dalhousie Diversity Faculty Award. 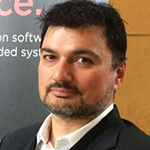 Jordan Kyriakidis is the CEO and president of Quantum Research Analytics (Innovation Award finalist) and an associate professor in Dal’s Department of Physics and Atmospheric Science. His company is focused on solving one of the greatest hurdles for innovation: verification of complex systems. QRA’s main product is called QVTrace, an advanced platform that discovers design faults in complex, embedded systems. Within the past year, QRA has celebrated multi-million dollar partnerships with Lockheed Martin, Innovacorp, and Dalhousie University, and received $2.9 million of funding under the Atlantic Innovation Fund. Travis McDonough is founder of Kinduct Technologies (Innovation Award finalist). a Halifax-based performance tracking software company used by nearly 50 professional sports teams. 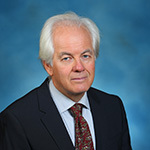 Dr. McDonough is a Dalhousie alumnus from the Faculty of Science. Dalhousie's Faculties of Science and Medicine also sponsored the Youth Award, which was presented to Janani Venkat from Bedford Academy, and Anisha Rajaselvam from Sacred Heart School of Halifax.